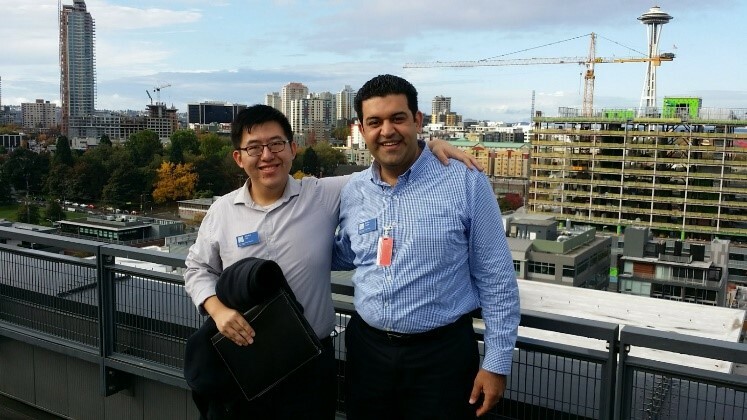 One of the major advantages of pursuing an MBA at a globally-recognized institution such as Duke is the fact that when recruiting season kicks off, you are welcomed by all different sectors across the country and even the world. 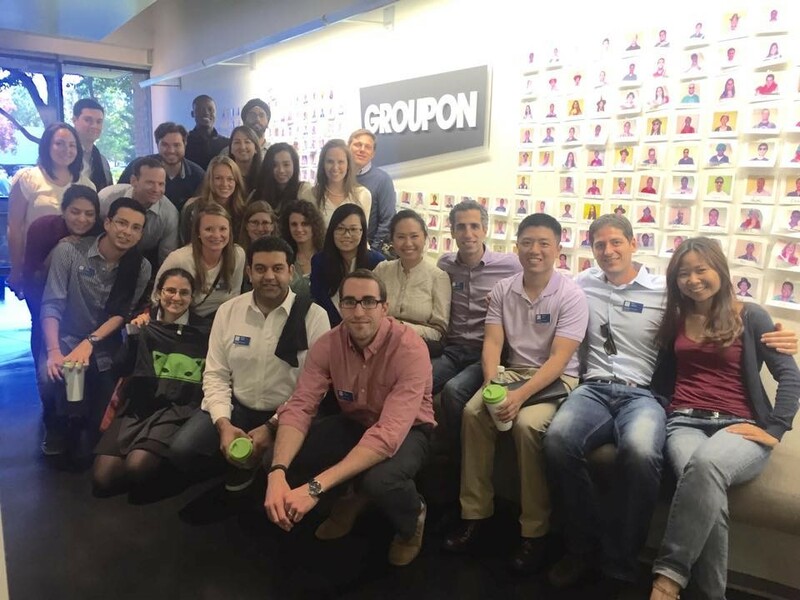 With consulting and investment banking attracting most MBAs traditionally, there are lots of opportunities to explore technology, health care, general management, and social entrepreneurship. 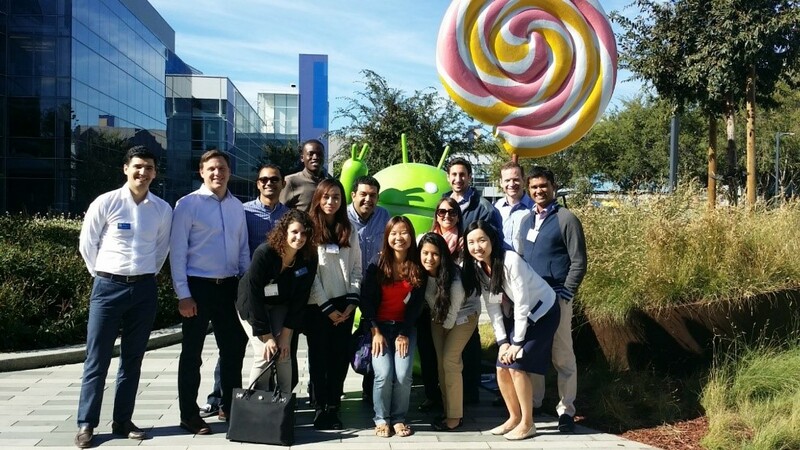 No matter which one interests you, plenty of opportunities will be found thanks to The Duke MBA’s global reputation. 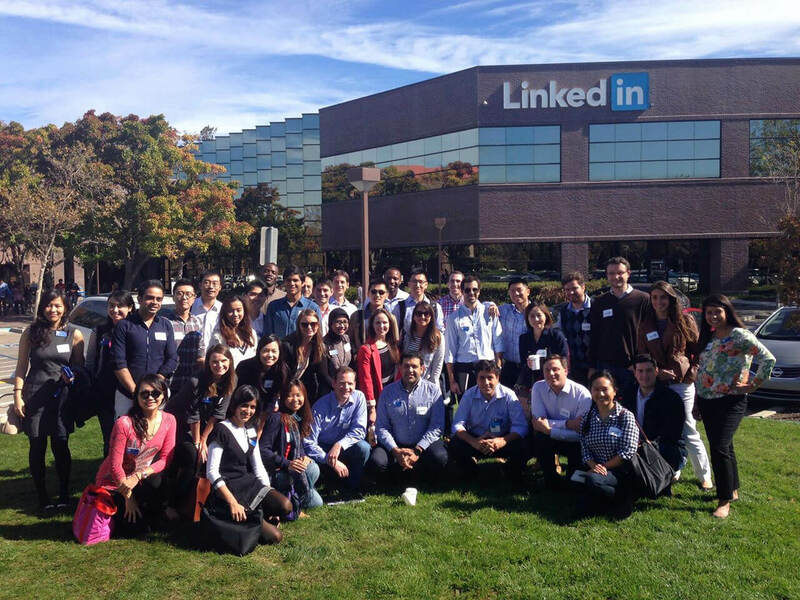 To help students get to know leading companies in each sector, Daytime MBA student clubs organize a wide range of “Week-in-Cities” trips during fall break. 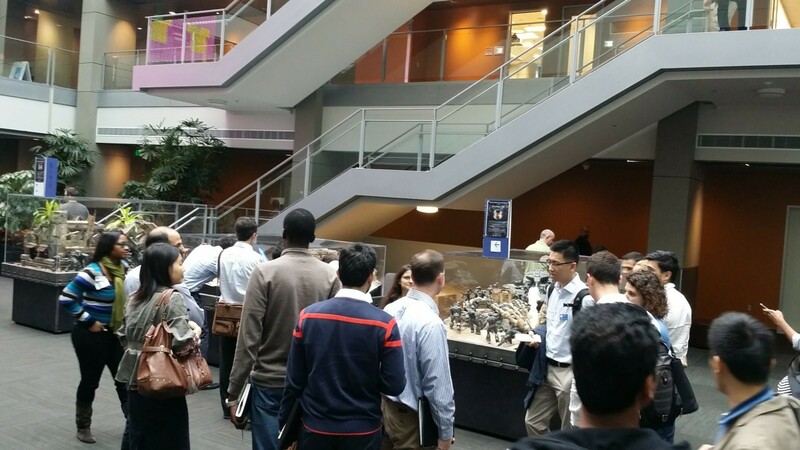 The clubs get in touch with Fuqua alumni and arrange visits to companies all across the country. Students decide the sector they want to explore and choose one of the many available treks. 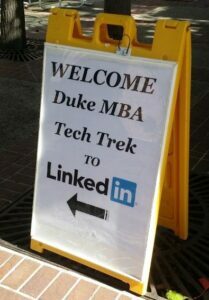 This past October, as someone passionate about pursuing a career in technology, I decided to travel to the West Coast with the Duke MBA Tech Club. 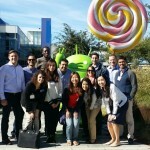 The group organized a jam-packed one-week trip called “Tech Trek” to Seattle and the San Francisco Bay Area. There were a total of 80 of my classmates on Tech Trek. 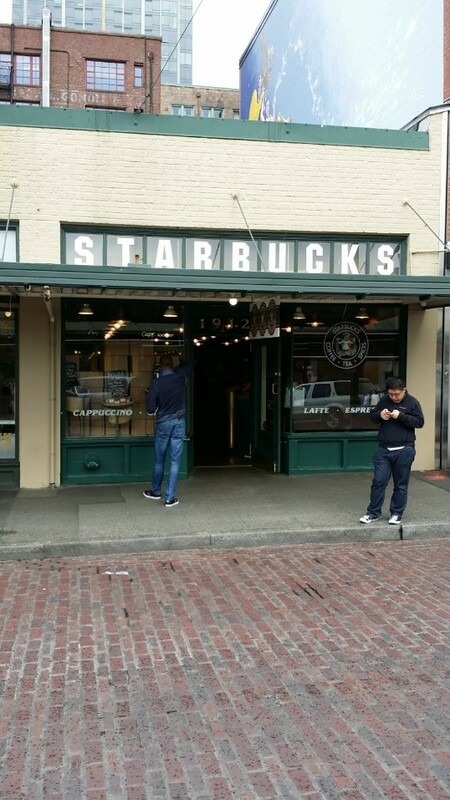 We stayed in Seattle for two days and in the Bay Area for three days. 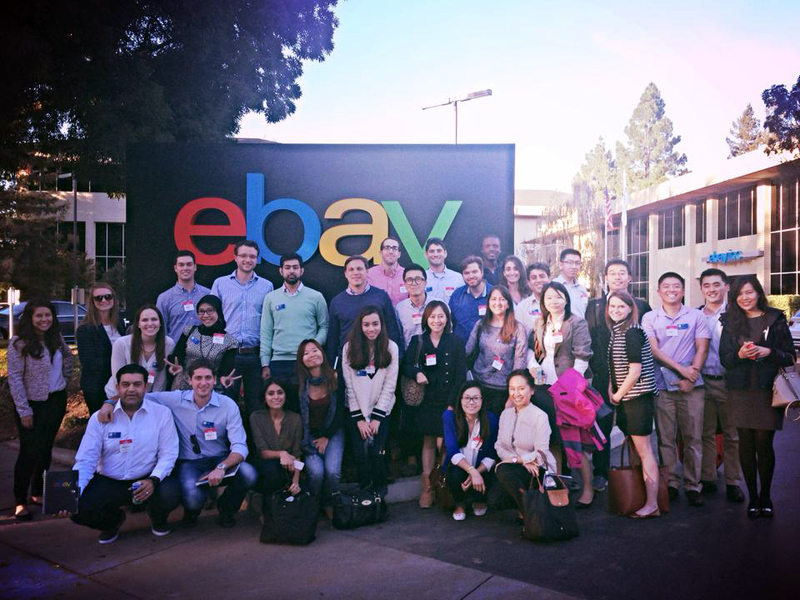 Many of the top companies in technology—such as Amazon, Apple, Cisco, eBay, Google, IBM, LinkedIn, Microsoft, Nest, and some others—visit Fuqua for information sessions, company presentations, and interviews throughout the year. However, visiting their campuses is always a great way to better understand their cultures and values, and to potentially meet some of the recruiters who will be on campus later in the year. 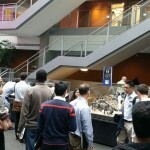 Our journey began in Seattle, and the first morning started with a visit to Amazon, where around 10 alumni welcomed us. The visit consisted of a campus tour, presentation, and alumni discussion panel. Amazon is headquartered in downtown Seattle, and it has historically been a major recruiter of Duke MBAs. After Amazon, we all headed to Microsoft campus in Redmond. Lunch and networking sessions with alumni, walking around beautiful Microsoft campus on a sunny day, and talking to staff about some of their upcoming innovative products, made this day a great experience. Our long day ended with a visit to Zillow, a trending real estate startup in downtown Seattle. 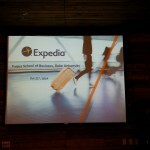 The next day, we headed to Expedia and enjoyed hearing from alumni panelists who gave us a complete picture of how the company emerged from a small startup to a leading online travel company. We were very fortunate, not only to have visited all these great companies and alumni, but also for having a fabulous sunny day in Seattle. 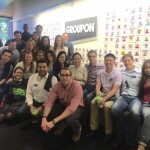 After Expedia and before heading to the airport to catch our flights to the Bay Area, we mingled in downtown Seattle and enjoyed the Public Market Center with a group of peers. 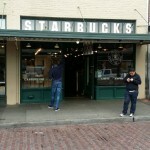 It was fascinating to chill at the first Starbucks store while enjoying some delicious Russian piroshki. In the Bay Area, due to a high number of companies and limited time, each of us had to choose one itinerary with specific companies to visit. The companies hosting us were Adobe, Apple, AT&T, Cisco, eBay, Facebook, Google, Groupon, LinkedIn, Nest, SAP, and Yahoo. 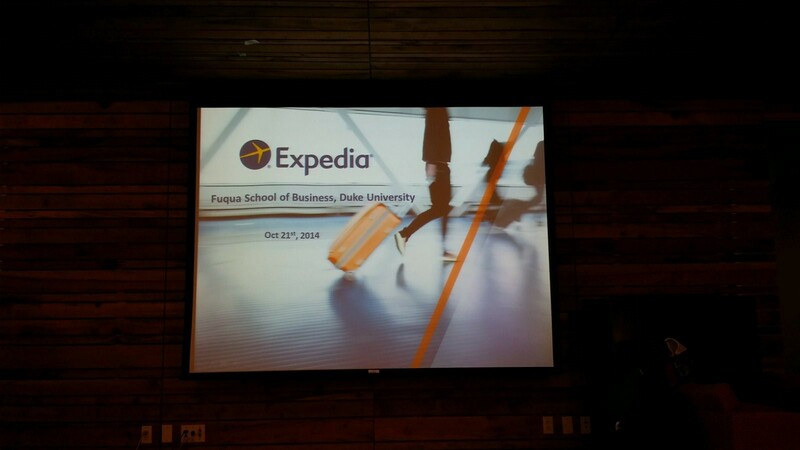 We were hosted by Fuqua alumni at each of these companies. All these visits included some sort of campus tour, networking sessions with alumni and current employees, and informational panels and Q&A sessions. Apart from visiting all these magnificent firms, we had an alumni mixer night where we got an opportunity to talk with area alumni and learn from their experiences in an informal setting. These interactions with alumni fascinated us because of the level of support they continue to give current students. 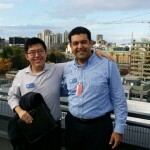 It was another moment when I felt proud to be part of Team Fuqua. 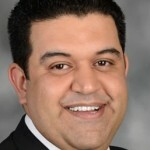 We also attended a Fuqua information session held by Professor Shane Dikolli for prospective students in San Francisco, in which he showcased some of the recent groundbreaking research being done at the school. On the last day of Tech Trek and after a long week, it was time to mingle with other technology enthusiastic students from various schools at the Berkeley Haas Play conference. 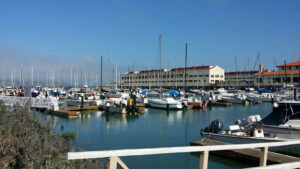 This annual event was held at beautiful Fort Mason in San Francisco. A full day, jam-packed with various panels and tons of speakers talking about the latest technology trends was a fabulous end to this week. Tech Trek not only helped me gain invaluable insights about top technology firms, but also reminded me that being at a school in the South is not a disadvantage when it comes to recruiting in different parts of country, as long as the school has good reputation among recruiters. Fuqua has been a focused target school for top technology firms. 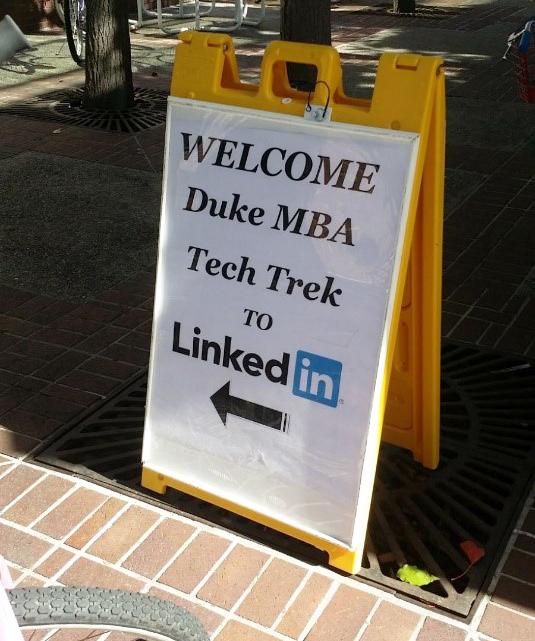 Students interested in pursuing tech careers can benefit from the extensive and supportive Duke alumni network on the West Coast when searching for internships and full time jobs in the technology sector.